Taken some time off to move some of my stuff across state for when my lease is up later this summer but I’m about to get back to work. I added some pipes to break up the bottom portion and make it and the silhouette more interesting. I also got the door texture a bit better. I think I’m going to add lights along where the doors split to emphasize the shapes of the doors. Every time I go into substance designer I learn more about it, get a better result and find myself having to update older textures that I feel like look bad next to the new one. But thats okay. I’m wokring on the outriggers next and then the buildings. Then I just need to fix the terrain and I think this scene will be done! Latest version of my current environment project. I learned a lot about texel density and how to make sure multiple meshes across an environment have the same amount of texture resolution per virtual meter so everything looks like it belongs together. I also made some new textures and architecture pieces after finishing my antenna, honing my skills in maya and substance designer/painter. I’m currently creating a more detailed sculpted terrain and creating a bit more complex and detailed material for painting in the different textures on the terrain in UE4. When that is done I just need to finish the unique material for the bay doors and then create the towers and outriggers. I learned a lot so far on this project but now I’m confident that I have the knowledge to create the remaining assets efficiently and I should be done soon! Lots of progress (mostly learning) I used a height map that I made with in photoshop and then sculpted some additional detail using UE4 terrain tool. I’ve used substance designer to make a nice material with some exposed parameters to use to paint a nice varied texture on to the terrain. 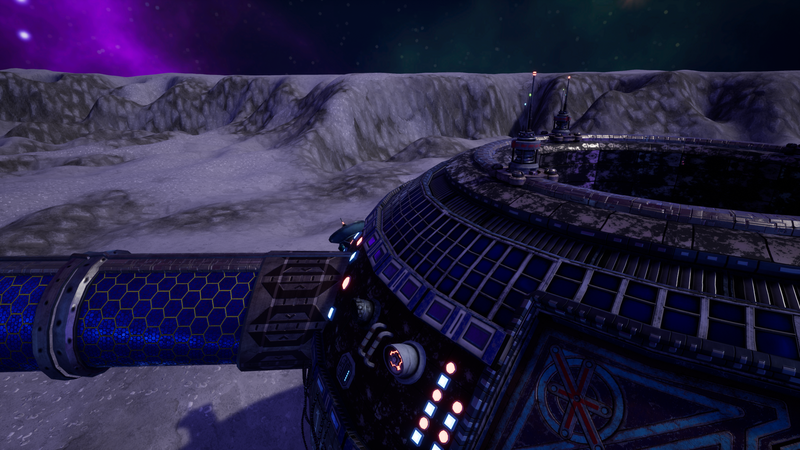 I also added some models and touched up my skybox to make it more interesting. 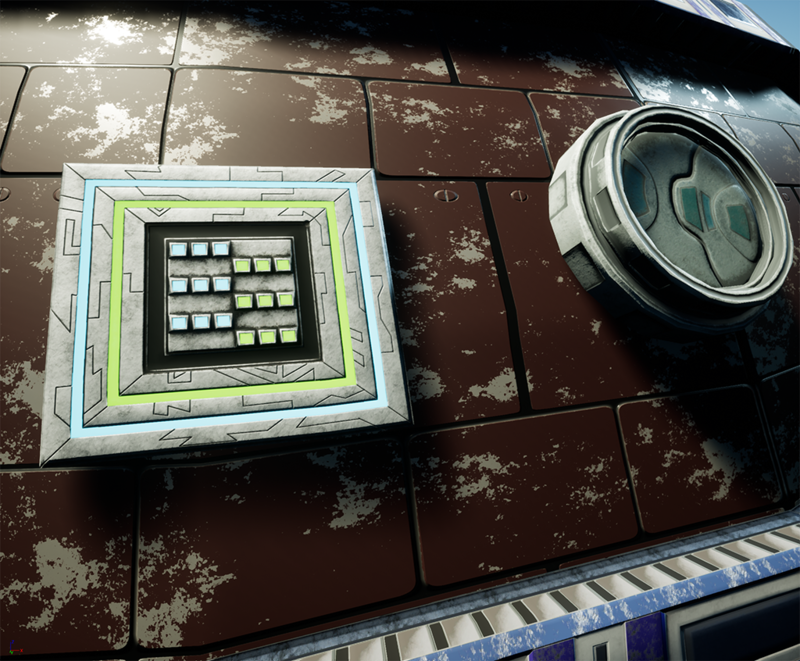 I plan on making more textures now that i understand substance designer a bit better and doing a unique texture for the door before i move on to the supports and towers. I’m also working on a couple antenna props. 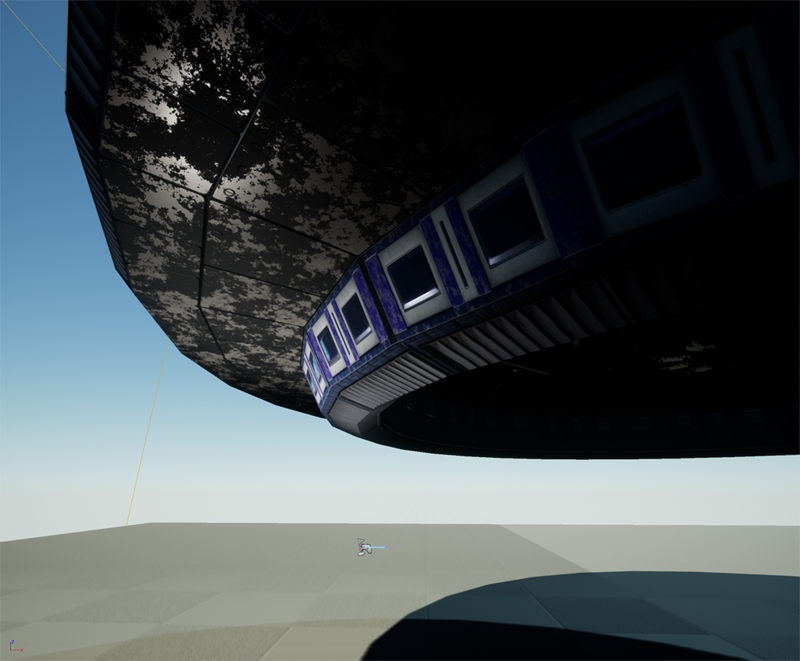 Made my first custom skybox for UE4 today. 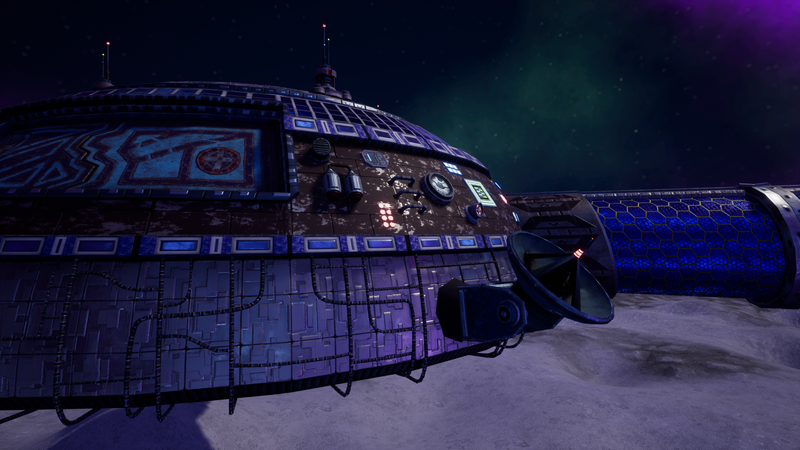 Using an awesome program called spacescape to create the cubmap texture and built a custom blueprint to function as a skybox using a material created from the cubemap. Still needs some refining but it already improves the scene a lot. Going to touch up the base texture on the base a little and finish making the extras on the base next. Author jonathanhicksonPosted on June 15, 2017 June 15, 2017 Leave a comment on Space! I started this new environment project about a week ago. 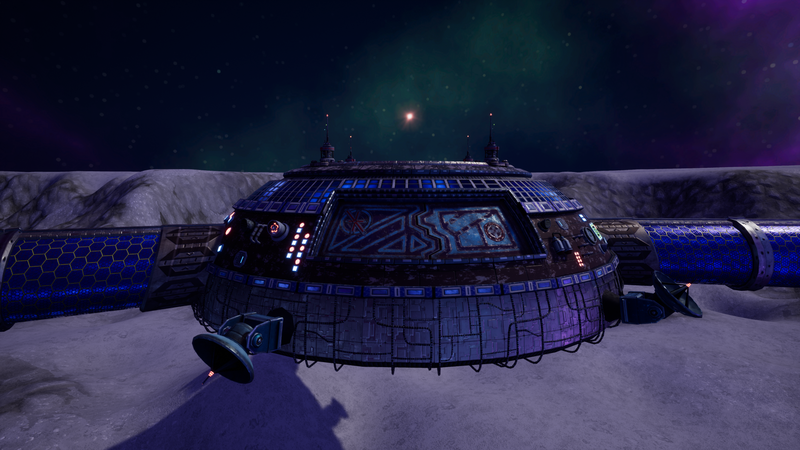 Its a off world research base designed for barren planets and moons. 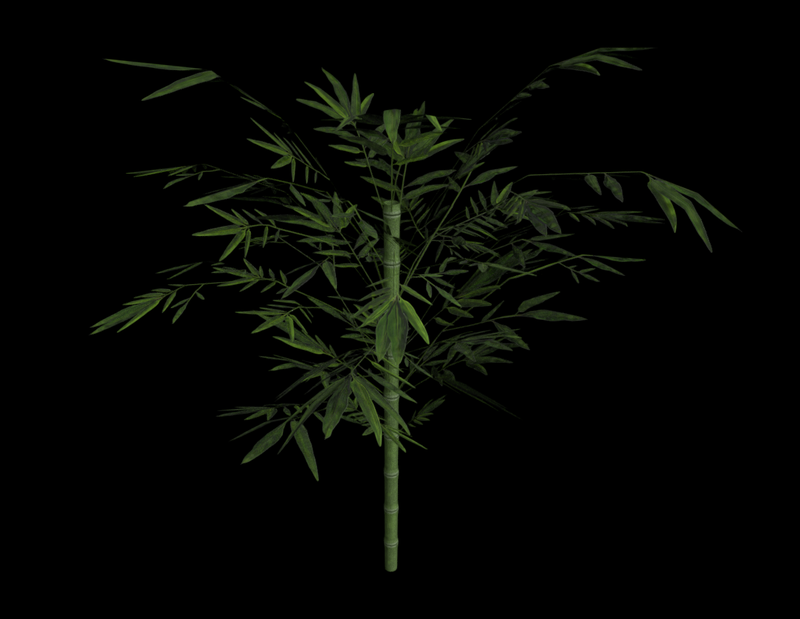 It is created mainly with basic geometry and made a tiling texture and trim texture. 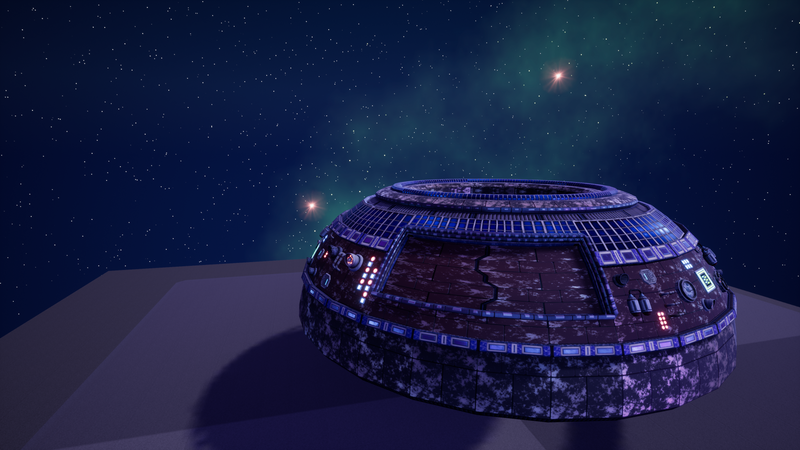 I am still a beginner with substance designer but I manged to make a decent texture and exposed some elements like the color and amount of paint. Then I also made the first trim sheet (which was a first for me). 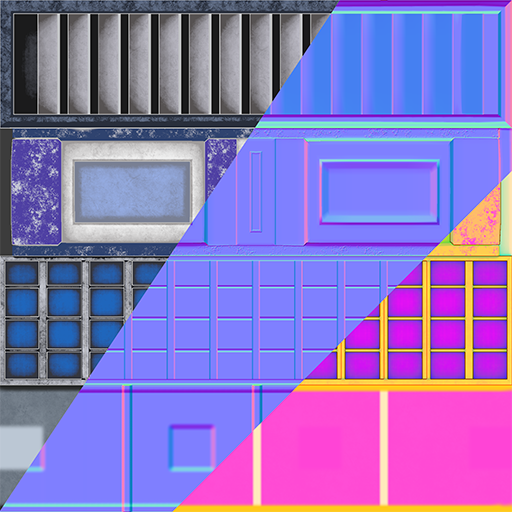 I learned a lot, including more efficient UV layouts for game environments. 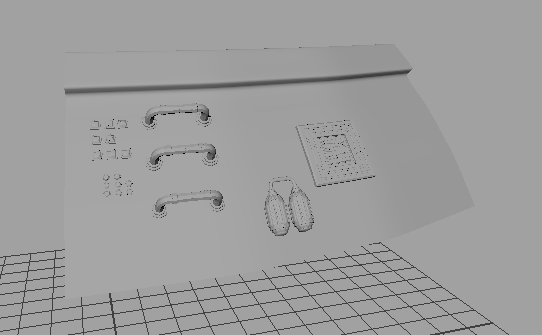 I had not ever used any UV space outside of the 0,1 quadrant, or ever used trim sheets to texture before. 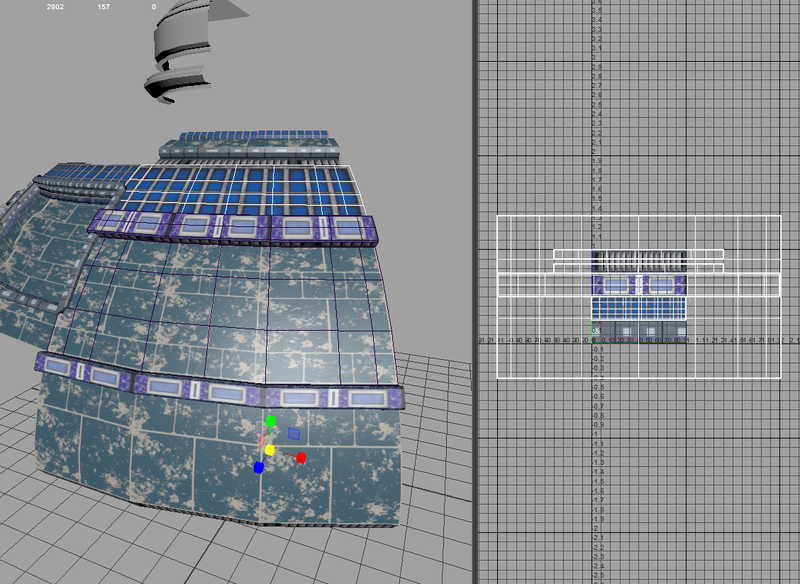 It was interesting making nice square uv layouts and stretching them to make the texel density look right. 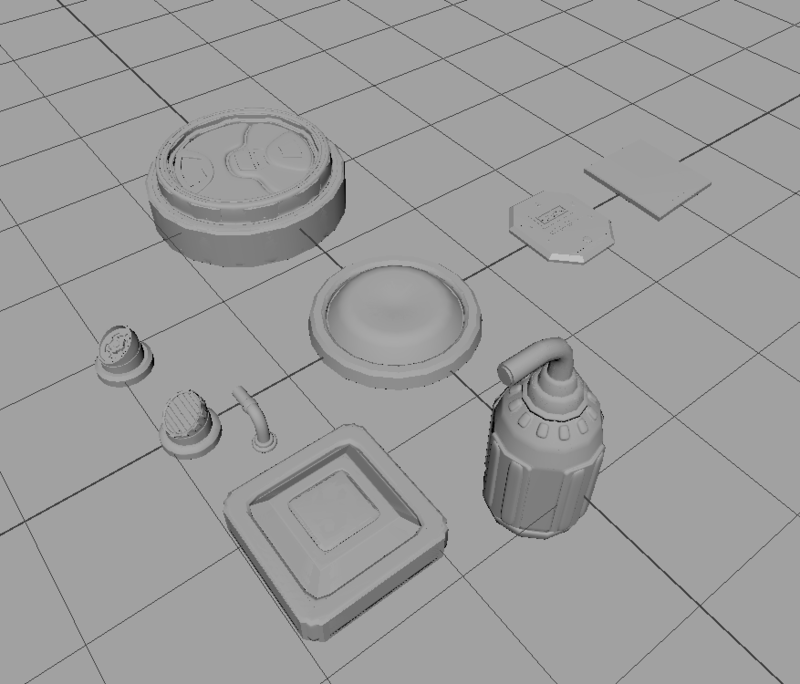 So then I made some assets to break up the repetitive of each modular piece of the main base, made a smart material in substance painter as a solid base and added some extra stuff on top for extra variation. 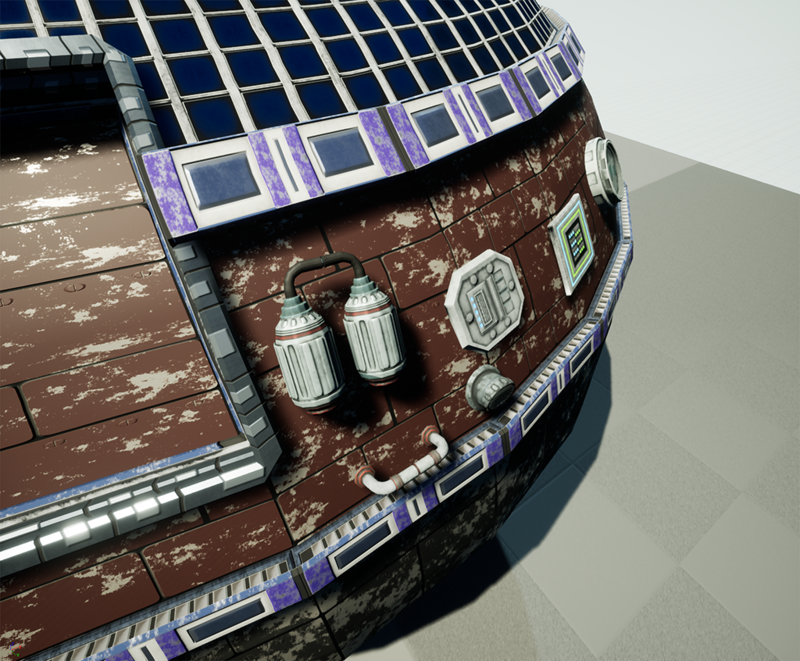 All the while I’m making sure it all looks okay in UE4, but right now the extra assets are at a standard size and at the origin for baking good normal maps. They will eventually be placed at the appropriate scale and rotation in Maya. Then I can export each modular piece grouped with the extra panels and give it an additional texturing pass in substance painter. Each piece of the base has its pivot point at the origin so I can tile pieces by rotating. 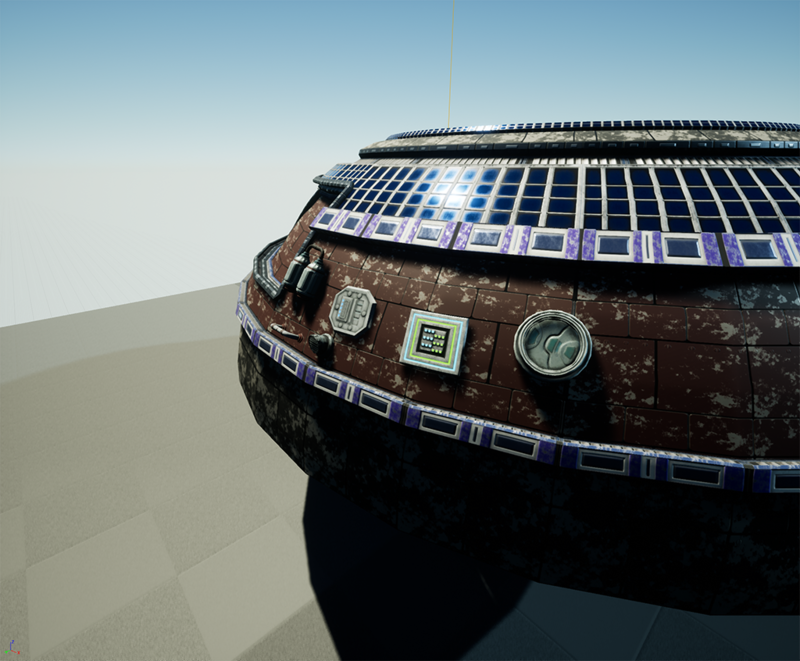 I still have some satellite dishes and more complicated assets in the works and I will make a terrain textured with substance designer and custom sky in Unreal (which is definitely going to be new, but fun). It’ll be a lot of new stuff for me to learn about creating game environments but I’m excited and hope it’ll be a strong portfolio piece.